It's in French? Oddly where I got the image from had it listed as Spanish. Well we know exactly what needs to be edited. 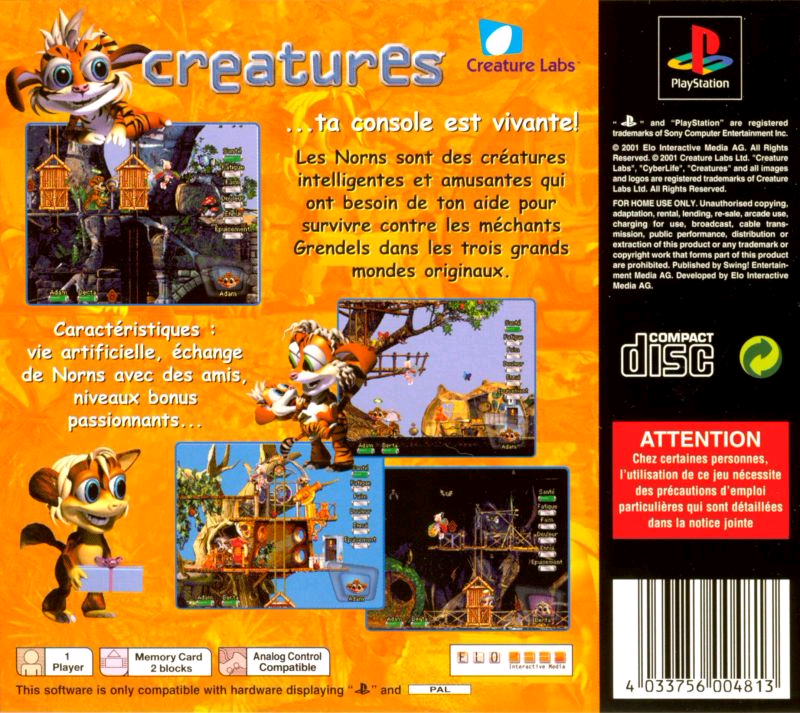 "Creatures" your console is alive! The Norns are intelligent and amusing Creatures that need your help to survive against the bad Grendels in three, great, unique worlds. It's actually in French. I'm not entirely sure if I got it all right. That looks like French to me? If anyone here is fluent in Spanish now's your chance to use your knowledge!